“Talking Points” is starting to attract attention in the blogosphere. We have been selected for listing on Alltop, a web-listing that considers itself a “digital magazine rack.”Â It’s a site for top blogs and websites. We are listed in the “Speaking” category. Check us out. In the last week, we have dropped our threeÂ kids off at camp.Â You can learn a lot about how to greet your audience from the way counselors greet kids at the beginning of camp.Â The same is true from a maitre d’ atÂ a restaurant. When I dropped Benjamin, my 17-year-old,Â at Stanford (he’s spending eight weeks there studying linear algebra and computer science as well as playing Ultimate Frisbee), the kids all had to run a gauntlet of cheers, welcoming them to the eight-week program. It was fun and the kids couldn’t help but smile. Benjamin raised his arms like a victorious boxer.Â It established a positive tone, the exact tone the camp was trying to establish.Â The other two camps (Elliott, 15,Â went toÂ Clemson Tennis Camp and Annie, 10, went to Gwynn Valley in Brevard NC) did the same kind of thing. Great speakers seek toÂ dispel that anxiety. And they do it by establishing a positive tone even before they open their mouths.Â They walk into the room with a spring in their step, making eye contact and wearing a postive look on their face. 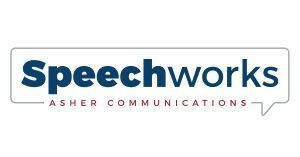 They’re “wearing their boots and spurs” as we like to say at Speechworks. That upbeatÂ approach tells the audience that the speaker is confident that everyone will find the next 30 minutes of their lives valuable.Â It gets the audience in a positive frame of mind. Everyone relaxes. We walked in around noon. The place was crowded.Â “We’d like a table for four,” I said. She didn’t look at me. Instead, she looked down at her clipboard and said, “Well, you’re going to have to wait. It’s probably going to be 30 minutes.” Her tone made her sound like we might never get served.Â We decided to go somewhere else.Â Why bother with something that was starting out so negatively? Many people start their presentations with the same low energy and sense of forboding. It’s a mistake. It makes people nervous and makes them want to leave. You have a choice at the beginning of a presentation. You can act like an upbeat camp counselor greeting a nervous camper. Or you can act like an overworked maitre d’.Â From my point of view, the decision is easy. To beat nerves, practice the first minute of your presentation three times as much as the rest. If you practice the entire thing five times, practice the first minute 15 times. It’s critical to get off to a strong start. You’re nervous. And if you stumble at the beginning, you’re going to go downhill from there. But if you do well at the beginning, you’re going to relax. You’ll gain momentum and you’ll do fine. A year or so ago, I was about to give a speech to a Rotary Club. And for some reason I was particularly nervous. But I knew my first line: “I’d like to start with a statistic that comes from a researcher at UCLA. . . ” I must have said that line 20 times in my head as I waited for my turn to talk. Practice the first minute over and over. It’ll get you off to a strong start. Â And you’ll overcome your nerves. Several years ago I attended a speech by the president of a major industry association. Â He was speaking at a Rotary Club about the state of his business. After being introduced, he spent the first five minutes of his 20 minute speech thanking people for inviting him. Â That’s a quarter of his speech! Â And it went downhill from there. We used to tell people to dump all “Thank yous.” Â You’re there for your audience. Give out your “thank yous” personally in private. That should be enough to show your gratitude. But we’ve modified that advice based on the fact that so many people ignore it.Â The fact is that speakers want to give some “thank yous”. I love marketing guru Seth Godin’s idea on this subject, which he posted about this week. Â He recommends taking photos of all the people you want to thank and projecting them up on the screen in your auditorium prior to your speech. It will save you from having to formally thank them during the speech itself. Â As much as I love this creativity, I’m not sure how practical it is for most speakers. Of course, thanking people in speeches can be appropriate, such as when you’re accepting an award. But those speeches are usually incredibly boring. Think about the Academy Awards. Â Speaking of Academy Awards, here’s the “Thank You Very Much” musical number from the 1970 movie “Scrooge”. Â In the song, the people of the town are celebrating the death of Scrooge, the miserable old miser.Â The song was nominated for best original song but ultimately lost to “For All We Know” from the movie “Love and Other Strangers. Of course this “Thank You” speech works wonderfully. So you can ignore the above advice if you put your “thank yous” to music. Otherwise, keep it tight. Today is the birthday of George Orwell.Â He wrote one of my favorite novels, “1984.”Â If you haven’t read it, stop what you’re doing right now and get a copy and start reading. Just something to think about next time you have to stand up and say something. One more thing about George Carlin. He rehearsed a lot. Â It was one of the things that made him great. Â And it’s a lesson we could all learn. I once took a comedy class from Jeff Justice, who has been teaching stand-up in Atlanta for years (check out Jeff Justice’s Comedy Workshoppe). Â He taught us how to write and deliver jokes and it was a great class. But one of the things that most impressed me was his emphasis on the importance of rehearsal. The class graduation was at The Punch Line in Sandy Springs, Ga. Â Before letting us go live in front of an audience, he made us rehearse our five-minute bit over and over until we had the timing down perfectly. Watching George Carlin, you could see that he did the same thing. Â His humor was extremely verbal. He was a true word lover and it was obvious that he practiced saying things a certain way to ensure that they were as funny as possible. You could watch his routine five times and it would be almost exactly the same each time. Now, I’m not saying that you should memorize your presentations word for word. Unlike stand-up comedy, a presentation does not depend on saying every word just right. Â But rehearsal is extremely important. The best presenters practice a lot. They may not say things exactly the same way every time. But they do have a strong sense of the words they want to use and where. I’ve practiced my presentations so often that I say almost the same thing every time. Â The result is that I appear to be speakingÂ extemporaneously. It’s a lesson I learned from comedy. And it’s a lesson we could all learn from the late George Carlin. 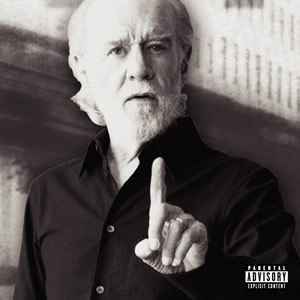 Since George Carlin’s death on Sunday, the internet is flowing with links to the comic’s provocative, profane, and usually hilarious stand-up routines. Â As you watch the clips, don’t just focus on his controversial subjects like “The seven dirty words”. Â Notice what a true master he was as a speaker. To my mind, he did three things that we can all learn from: he took positions, spoke with great focus, and connected with the audience with infectious passion. Whether you loved Carlin or hated him, you have to say this about him: you always knew where he stood. And his clear positions on subjects was part of what made him so compelling. Â Whether it was religion, government, or “white people”, Carlin was willing to take a stand. Too often, I see speakers who, unlike Carlin, won’t take clean positions on subjects. They’re afraid. Â As a result, their presentations are dull and usually don’t serve their listeners well. I was helping a speaker who felt that a particular business initiative should be killed. He was going to be speaking to the company’s board of directors. In his speech, he planned to simply lay out all the facts around the initiative, hoping that the board would see the light and agree.Â After hearing the presentation, I asked, “Why don’t you just say, ‘This project needs to end. It’s a waste of corporate resources. And here’s why? '” The speaker was afraid to be so frank. But his waffling made for a poor presentation and didn’t reflect well on him. Â His lack of clarity made his presentation confusing and wasn’t going to help the board. Carlin reminded us that good speaking isn’t just about organizing thoughts and speaking with energy. It’s also about saying something pointed and taking a position. It’s about leadership. We can use a similar approach with our own presentations. I helped a corporate presenter recently as he developed a rather complicated presentation on his company’s approach to logistics and supply chain management. Â The presentation gave a detailed look at how his company was moving goods around the globe. It needed focus. So we came up with the phrase “optimized flow of goods” as the key phrase. Â We introduced the phrase early in the presentation and came back to it throughout the presentation as a way of making it hold together. My client probably didn’t realize that his logistics presentation had something in common with a George Carlin stand-up bit. But it did. Finally, notice Carlin’s wonderful delivery. Â He always spoke with totalÂ commitmentÂ and passion in his voice. He used wonderful facial expressions. Â His entire body seemed to get a workout as he worked through his routines. Carlin’s legacy will be as a groundbreaking and controversial comedian. But let’s also remember that he got there by being a great communicator. Searching for a Carlin YouTube clip to post here, I’ve struggled to find anything that wasn’t profane. Â With Carlin, it’s extremely difficult, maybe impossible. Â The man could lay an “f-bomb” on you. I considered including no clip at all. And as a speaker, he is an example we could all follow, minus the foul language. The following clip is relatively clean and is about “stuff”. Â WARNING! : IT DOES HAVE SOME FOUL LANGUAGE. If you don’t want to hear foul language, then don’t watch it. But you’ll be missing a wonderful bit. If you want to be a good presenter, put yourself in the shoes of your listeners. How many points would you like to listen to? How many slides would you like to sit through? Would you rather hear stories or lots of data? Would you rather have someone read you their presentation or deliver it extemporaneously with lots of energy? Would you like to see someone who comes across as well-rehearsed or not? What would you want to take away from this presentation? Turn on the television to The Larry King Show on CNN. Then, with the volume up, try delivering your presentation.Â Â If you can deliver your presentation despite the distraction, thenÂ you should have no problem delivering in spite of your anxiety. 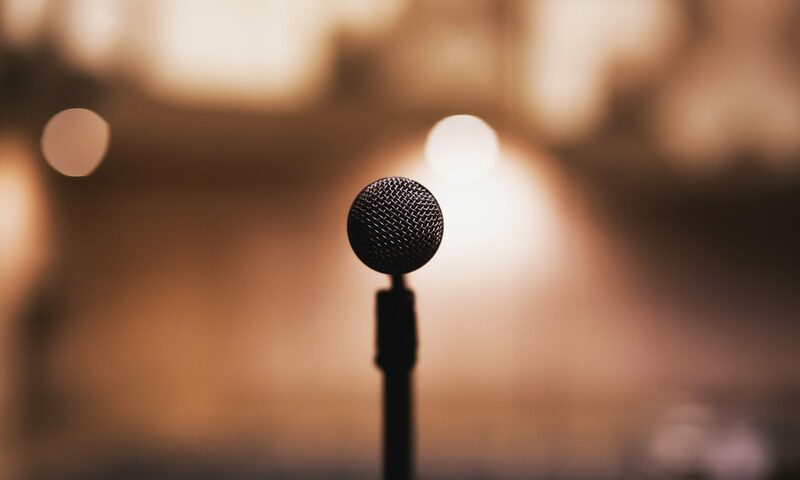 One way to think of stagefrightÂ is as a type of distraction to be overcome while speaking.Â As you stand to give your presentation, you’re nervous. Your heart is pounding. Your throat is dry.Â All of that canÂ wreak havoc with your mental composure. I see so many presenters that are more like Theresa Brown than the homeless man. They deliver lots of technical information.Â And it’s certainly accurate. But these “Theresas” utterly fail to trulyÂ help the listeners by telling them what it all means to them and what they need to do next.